Cassandra received both her Bachelor’s degree in Psychology and her Master’s degree in Speech-Language Pathology from St. John’s University. She holds the Certificate of Clinical Competence from the American Speech-Language and Hearing Association (ASHA), and is a licensed Speech Language Pathologist and Teacher of the Speech and Hearing Handicapped in New York State. 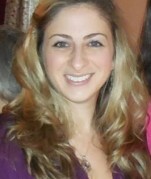 Cassandra has worked for the Eden II Programs since 2005 and is presently a Senior Coordinator of Speech Services. In addition to working with school-aged children, she has experience with Early Intervention, and has presented on various topics in speech and language including promoting AAC usage in the classroom.